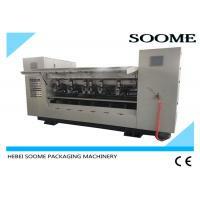 Suitable to the corrugated cardboard slitting and scoring in the production line. 1. Slitting part: adopt high quality tungsten steel alloy thin blade, sharp and long service life, slice more tidy, non-pressing and non-burr. 2. 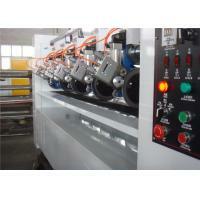 Grinding part: adopt automatic and manual two kinds pneumatic grinding type. It can be grinding when working, improved the work efficiency. 3. 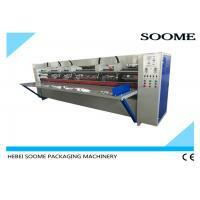 Scoring part: adopt 5 points scoring, scoring distance adjusted synchronously, blazonry and easy to bend the carton sheet. 4. 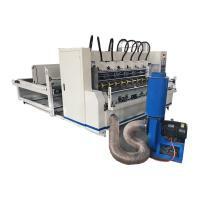 Adopt China famous brand or imported electric elements, reliable performance. 5. 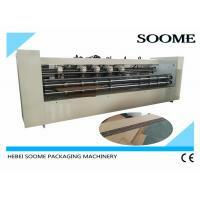 Electric left-right rectification 200mm function to cooperate the position of paper sheet. 6. 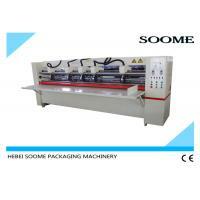 The space between slitting blades is electrically adjusted, automatic locking, can reach min. 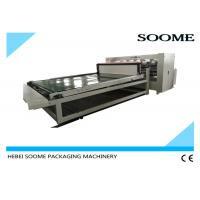 slitting width 130mm. 7. 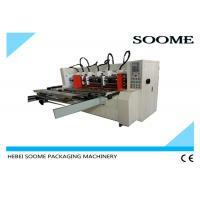 Double smooth shaft guide way, stable operation; inlay O-ring seal, clean and dust-proof. 8. Self-researched nut rotation technique with the automatic locking function, simple and useful. 1. Is the profile customizable? Yea, We will provide a feasible plan according to the requirements of our customers, and help customers find the right machines. 2. How many workers do this machine need to operate at least? 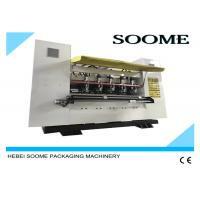 Need 2 workers, One do Feeding paper anther one do receive paper.If you want to save worker cost you can choose automatic feeding paper and add staking for this machine. 3.Will manufacturers continue to provide after sales service after the warranty period is over? Yea, Of course. If you need any help you can contact seller person. If you need change quick-wear part, we can give you,but need customer payment cost. 4. Can you send engineers to go abroad to install and debug? 5. Are you a trading company or a manufacturer? 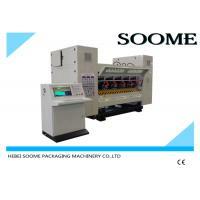 Our company founded in 1995, we specialize in R & D and manufacture of carton packaging machinery. 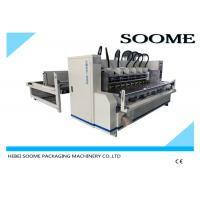 SOOME MACHINERY established in 1995 specialized in developing and manufacturing fully automatic,high speed,precise and of good quality packaging machines on a track of benign development.To meet the needs of our customers, we have expanded another new workshop to speed up the production process.Now there are three huge workshops and one office block with 3 floors over 15,000m2 standing tall and upbright along national highway. Sticking with mechanotronics,intelligent operation,simple usage,energy conservation and environment protection which are our workers' corporate philosophy facing the fierce competition in corrugated packing field is to keep up with the high pace of modern life. 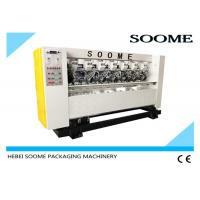 We put our hearts in our mind to make no effort equipping each product.Especially we developed several new high speed automatically machines which improved the competition ability of our customers,also got the recognition of thousands packing companies from domestics and overseas based on the principle of honest and trustworthy. Our products find a good sale in Argentina,Russia,India,Italy,Germany,Egypt,Vietnam,Spain,Iran,Turkey and so on.Anyone who cooperate with us is proud of our good after service and open-minded attitude.Welcome foreign customers visiting our company and wish we us unite in a concerted effort for the beautiful future!